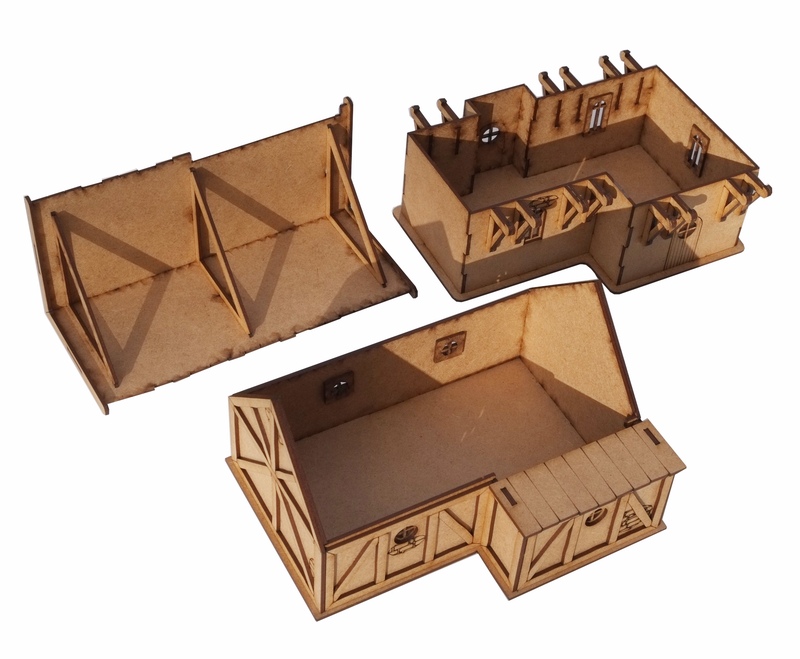 Our 28mm fantasy/ Medieval cottage is a detailed two story building that would look great on any gaming table. The ground floor has a porch entrance and has floor support beams front and rear. The upper floor has timber beam cladding to all sides. Both floors have exposed brickwork engrave. The roof is removable. 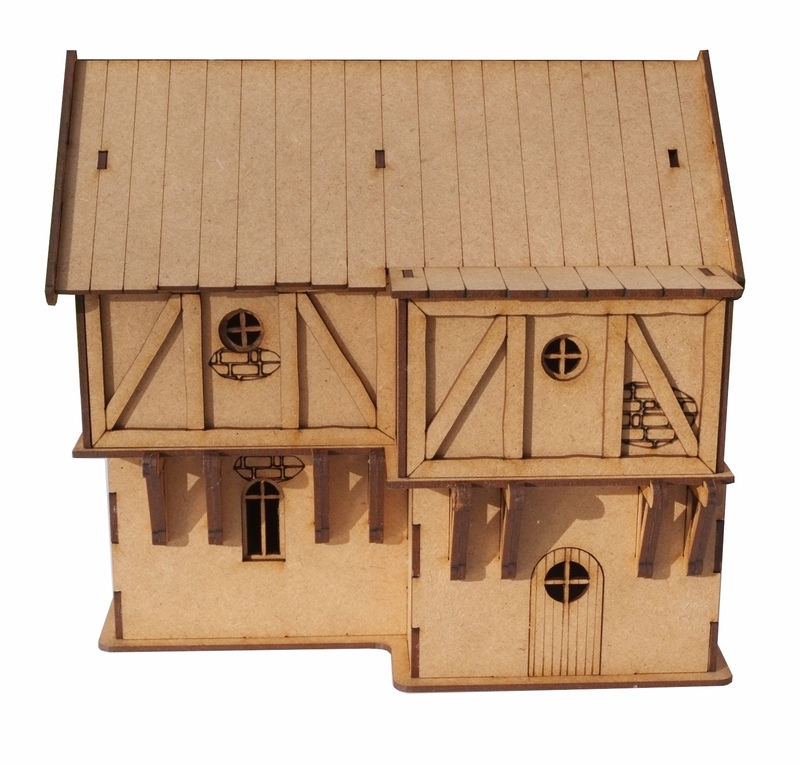 The kit is effectivly double fronted as both front and back could serve as the actual front of the cottage. The kit measures 185mm x 140mm x 170mm high.